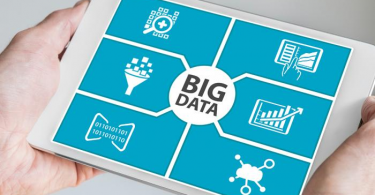 Tableau and Power BI are among the leaders in data visualization tools. And so, it becomes utmost import to know Tableau vs Power BI. In this post, we will compare Tableau and Power BI and see in which area Tableau is leading while Power BI in other. We’ll keep various KPIs and Metrics to understand which is currently leading the industry on various parameters. 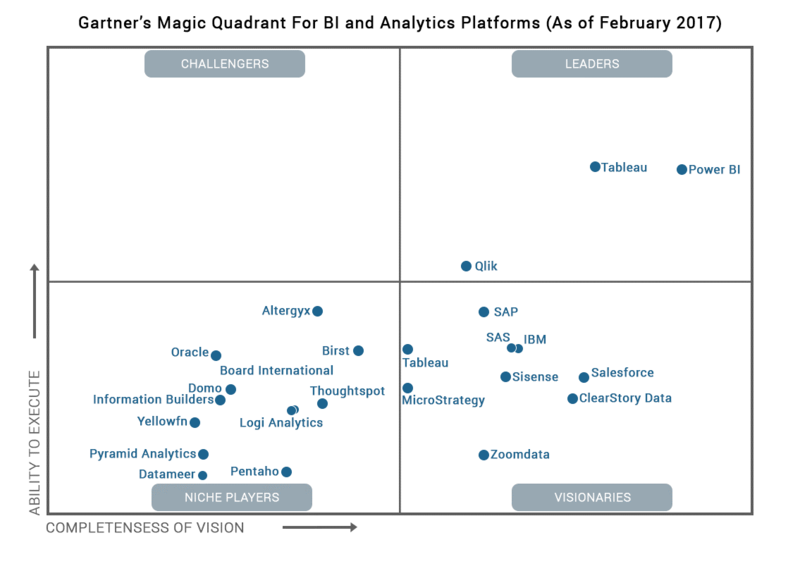 If you’ll look into the Gartner’s quadrant for data visualization, you’ll find Tableau coming at the top since last 5-6 years. But the interesting fact is, since the last couple of years, Power BI is also just behind Tableau which is a great achievement. Especially knowing the fact that Power BI came in existence in 2013. While Tableau is in the market since 2003 and since then they’re keeping themselves updated and innovative. So, when it comes to choosing between Tableau vs Power BI, it is important to understand some major parameters and where they stand. Cost is the major parameters when someone looks while buying the software. When we compare Tableau and Power BI, Power BI is the leader in terms of pricing. When you compare Power BI and Tableau, Tableau is more than 5-7 times costlier than Power BI. 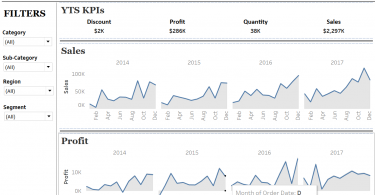 The pricing has been changed when Tableau introduced Tableau prep last year. Earlier it was just $35 per month per user. Another thing to note here is, Power BI desktop comes free but there you won’t be able to share the report. And so, it can be just used for personal practice. Tableau Desktop and Tableau server and even other Tableau premium tools come with 14-days of a free trial. While Power BI pro comes with 60-days of a free trial. So, now you can think about which is best for you. If you have a budget, you can go for Tableau else Power BI. Both Tableau and Power BI has their own advantages and so, let’s talk in detail herein- Tableau vs Power BI. Tableau: When you’re looking for scaling option to large datasets and looking for proper insights features like drill down, Tableau is for you. It lets you manage and switch between the visualization amazingly. Also, it allows various data source connection and embeds features. Power BI: With Power BI, data loading become easier. You can select the dataset and Power BI can show you the insights like blueprint which will be easier for you to get started. Also, the apps feature is working great with Power BI. When it comes to deployment, Tableau has added advantage as it has flexible deployment options. Power BI is only available as a SaaS model whereas Tableau has both on-premises and cloud options. So, if your client or business policy doesn’t allow SaaS solution, then Power BI is no longer an option for you. As mentioned earlier, when it comes to bulk data management, Tableau is the leader. When using the bulk data, power BI can be slower. But to overcome this, you may use the direct connection rather than import functionality. Tableau will be able to answer all the questions users would like to ask compared to Power BI. The depth of data discovery is more with Tableau compared with Tableau. Especially that drill-down features are good with Tableau. But that doesn’t mean Power BI can’t do. There is a way or another using which you can do. When it comes to connecting with a different data source, both Tableau and Power BI works perfectly well. Although Tableau has a thin edge here as well but still both serve a similar purpose. Tableau has some out of box connection as well, but both connect to all the major sources. There are times when we need to connect the data visualization tools to the analysis tools like R and Python. Tableau connects to R quite easily. All you have to do is, just install a package Rserve and get started. Although connecting to Power BI is also easy but Tableau is easiest compared to Power BI. Also, with Power BI, connection to R is limited to enterprise customers but that is not the case with Tableau. Any Tableau users can connect to both R and Python. Tableau has an amazing user interface, but Power BI is the winner here. The interface of Power BI is quite lucrative and easy to access and use. And that is the reason, business user prefer Power BI. Both Tableau and Power BI offers great product support and they have active communities as well. As Tableau is an older tool compared to Power BI and so, they have got a better and bigger community. Not only this, Tableau is being considered as the most active and innovative community in the IT field. Let’s conclude the topic Tableau vs Power BI here. We discussed 9 points to compare Power BI vs Tableau. This must have given you a better idea which is a better tool for you. Now it’s up to you which is best fitting in your business. 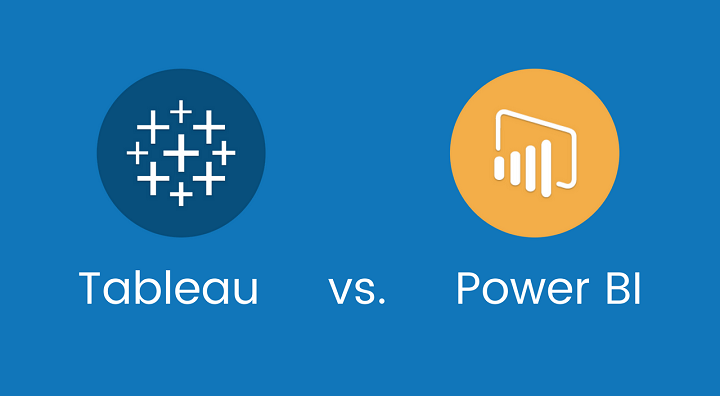 Let me summarize the differences between Power BI and Tableau. Which you think is the leader- Tableau or Power BI?